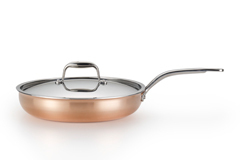 Lagostina's Martellata cookware has a lovely hammered copper exterior surface. 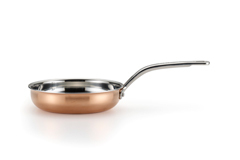 Martella cookware is also very practical because its cooking surfaces and lids are 18/10 stainless steel. That means even heating and easy cleans up! 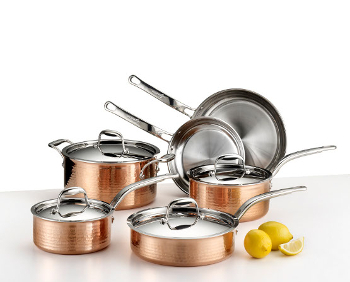 Martellata cookware is also tri-ply. Its 3 layers include: exterior hammered copper, fully enrobed fast-heating aluminum interior layer and an 18/10 stainless steel cooking surface.